Fact: I love food. And, as a travelling foodie it's often difficult to stay healthy when you work long hours and occasionally live out of a suitcase (no matter how très chic the suitcase is). A few years ago, I decided to get back to juicing, being proactive about trying to juice at least several times a week. My routine varies by the week, however I usually try to juice during the week for breakfast, because on the weekend I'm a brunch lady, and I love having a proper hot breakfast. Some of my favourite power drinks involve using fresh and frozen fruit, and veggies, in addition to peanut butter or almond butter. Nut butters are also quite easy to make so I usually do it myself. I've learnt early on to invest in quality kitchen products, it'll save you eternally. Between juicers, blenders, and a food-processor (and obviously a Kitchen-aid), we're covered. For this FT Kitchen spotlight, I teamed up with Nordic Nordic (NN), a brand dedicated to sharing natural products native to their Scandinavian roots, to share some of their amazing product range. Nina and Reeta, the girl powering duo behind the brand pride themselves in offering one-hundred percent natural products with no-added sugars, additives or preservatives. 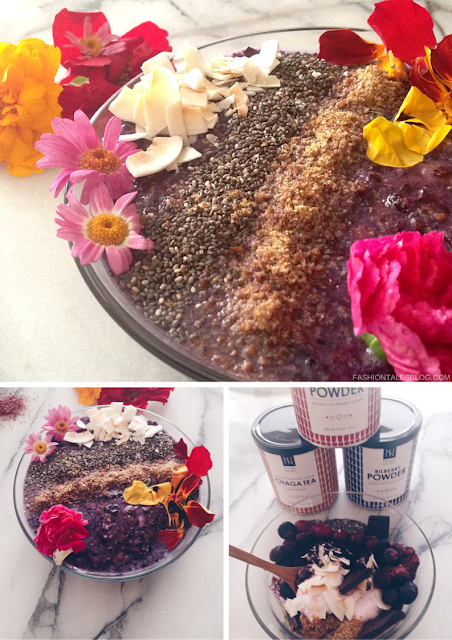 I recently used two of their berry powders and chaga tea, and have also prepared a couple recipes for inspiration (more recipes soon). All of the berries in NN's affordable range are hand-picked and grown in the wild, hailing straight from Northern Finland. They offer sea-buckthorn juice, bilberry juice, and a variety of chaga teas, amongst others. Fun fact: can you believe that it takes over seven-thousand whole berries (flesh, seeds and all) to produce each container? What this means exactly is that a little goes a long way! There are three-hundred berries per tablespoon, which should pretty much be your daily intake. Native to Northern Europe, Bilberry fruit has been used for centuries medicinally as well as in food. The perennial shrub is kin to the blueberry. Bilberry naturally contains vitamin A, C, and chemicals known as anthocyanosides, which has plant pigments with excellent antioxidant properties—this is also what causes the berry's intense flesh colour. During World War 2 Bilberry was said to have helped to sharpen the British pilot's night vision, as they ate bilberry jam, but studies have shown mixed results specifically for night vision. Instead, according to scientific research, bilberry has been effective along with using antioxidants to help in the prevention of long-term illnesses like eye disorders of the retina, heart disease, and certain cancers. 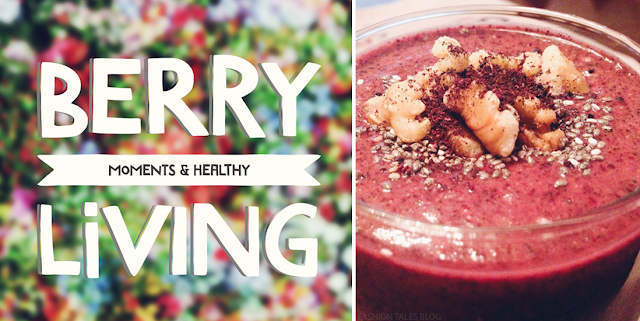 I made two smoothies using Bilberry, including cinnamon, flax meal, and toasted coconut. 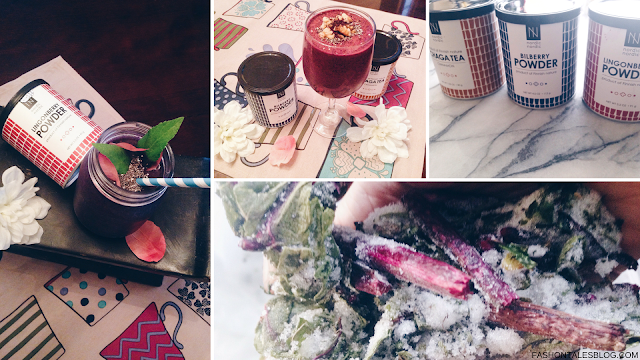 All of NN's products are raw, vegan, and paleo friendly. Berries in general can improve the skin's appearance. With bilberry, it can be effective in stabilising collagen tissues and managing blood sugar levels. My nan used Lingonberries in her cooking, and that was my first introduction to the berry. From jams to berry sauces, lingonberries not only taste good, but are quite versatile in use (think cranberries cousin). Try it in juice form or the powder version, it's a great source of fibre, and vitamin E! Some chefs stamp it as one of the most important berries, at least where Swedish gastronomy is concerned. Lingonberries help to reduce the effect of advanced glycation end-products, which are the byproduct of sugars. 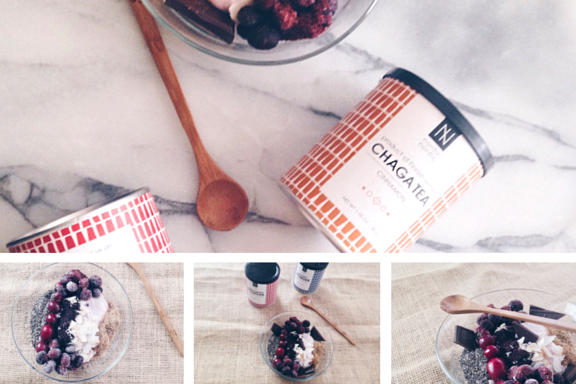 Have you eaten chaga, Lingonberry, or bilberry before? 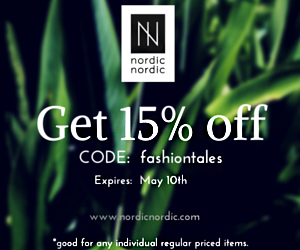 The lovelies at Nordic Nordic have created a special coupon just for you! Visit the site and grab 15% off any of their individual regular-priced products. Use code: fashiontales. You have until May 10, so choose one or the whole range of favourites. Let me know which ones you try, and how you're using them in your drinks, desserts, meals, etc. 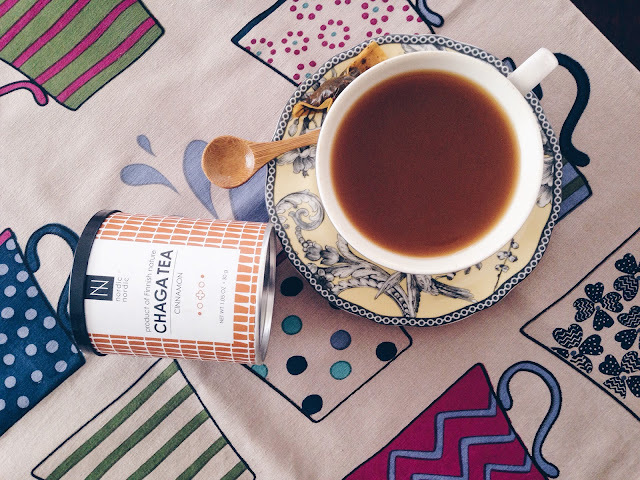 The goods: Bilberry powder, Lingonberry powder, and Chaga -cinnamon tea-Courtesy of Nordic Nordic, Printed tea towel-c/o Gudrun Sjoden, Ashanti stool-Ghana-family owned. Shop the site here. *Nordic Nordic also ships internationally. 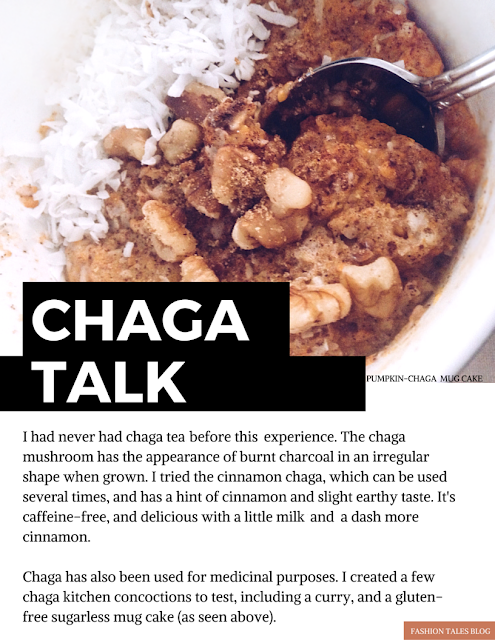 View more benefits on chaga here. We had some awesome natural light happening in the kitchen, so the raw pics were shot right on my marble counter. Supporting references and links: University of Maryland Medical Centre. Bomser J, Madhavi DL, Singletary K, et al. In vitro anti-cancer activity of fruit extracts from Vaccinium species. Planta Med., and here.